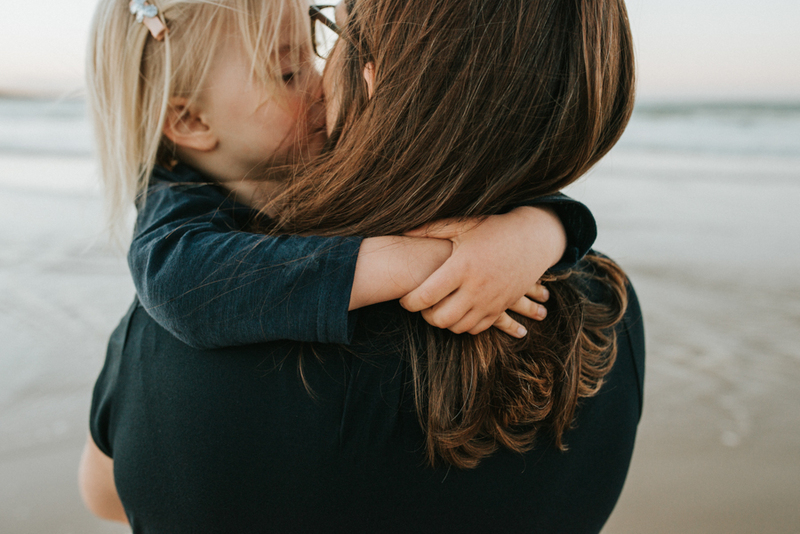 Hands up, Mamas: who of you are more often behind the camera than in front of it? 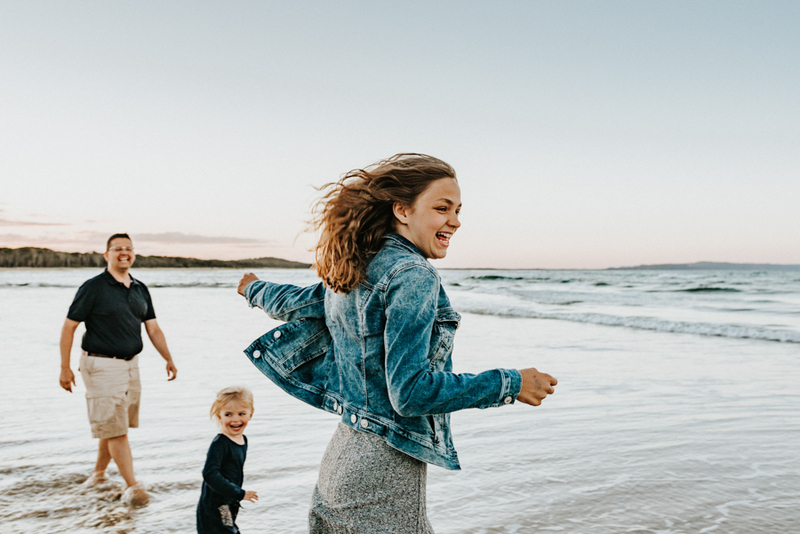 Do you flip through your family photos and realise everyone is in them except you? As I started to go through our photos from a trip to the south of France I noticed quickly that I was missing. It looked like it was just hubby and the kids exploring St. Tropez. Sure there were a couple of selfies that got me in the frame, but let’s be honest here - they are not the type of photos you want pride of place in your family photo albums or on your walls. It was when I was editing the photos from that trip that made me realize I needed to book a photographer for our Australian adventure. For one afternoon I would leave the camera in my bag, get over my fear of being in front of the camera and hand over control to another photographer to capture us all together. 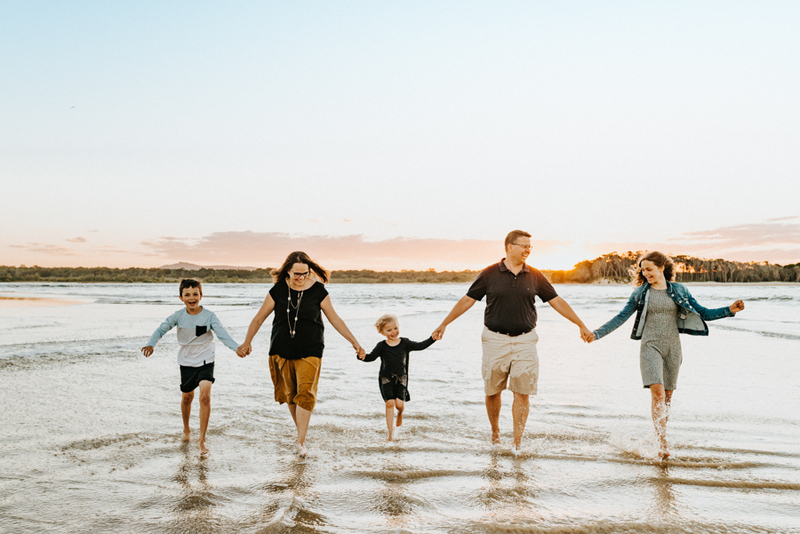 The search was on for a photographer to capture us at our most relaxed and in our happy place - on the beach in Noosa. Do you think it sounds good, but you’re not quite sure how to start? Here is how we found our photographer—and hopefully the tips will help you too. Instagram is your answer! Finally a positive side to social media! Instagram is the social media platform of choice for most photographers and thanks to hashtags and geotags (locations) it’s a great place to start a search for a photographer. Searching for #sunshinecoastphotographer and #noosaphotographer gave me a long list of possibilities to go through. I preferred Instagram over a google search as it helped me see the most recent work of each photographer easily without having to go search through a website. My search kept me coming back time and time again to @rebeccacolefax. Her wonderful candy-coloured beach reflections kept drawing me in and the connections she was able to capture were exactly what I was after. I quickly pressed the follow button to make sure I really liked her style. Book well in advanced to get the date you want. 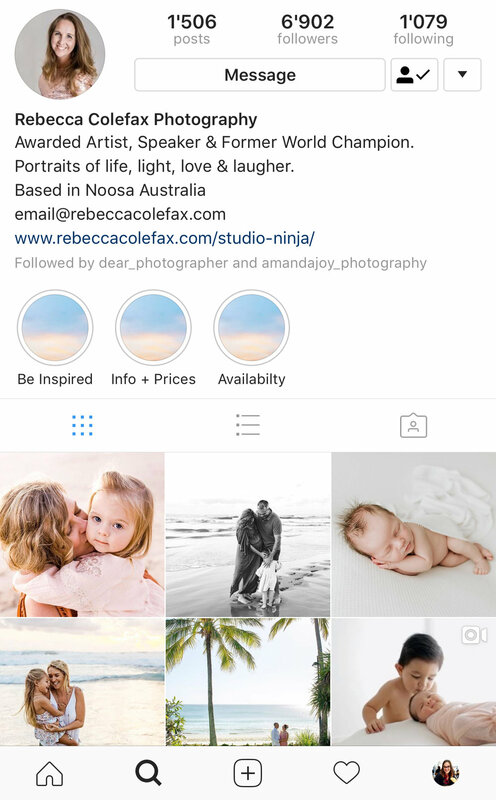 After following Rebecca for awhile on Instagram, I decided she was the photographer for us and I reached out by via her websitel. I did so a couple of months before our arrival to make sure we were able to get the dates we wanted. I decided on booking a day early in our visit to make sure we had some flexibility in case we needed to reschedule due to weather or unforeseen illness. Rebecca made booking our session from the other side of the world simple, everything was done online. She even sent reminder emails for when the balance of our session was due. relax and let the photographer take the lead. We arrived into Noosa on the day of our photoshoot. I had packed our suitcases with the photoshoot in mind— blues, greys and whites. The Teen and I got our hair washed and blow dried, too. 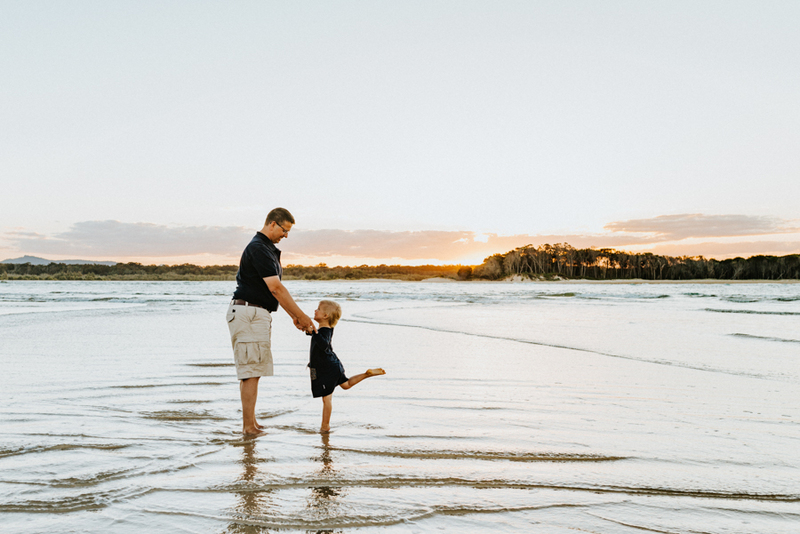 We had our shoot down on the beach with the sun setting behind us as we chased and jumped waves, searched for reflections in the sand and tried our best not to get wet (spoiler: we weren’t very successful!). There was lots of laughter. 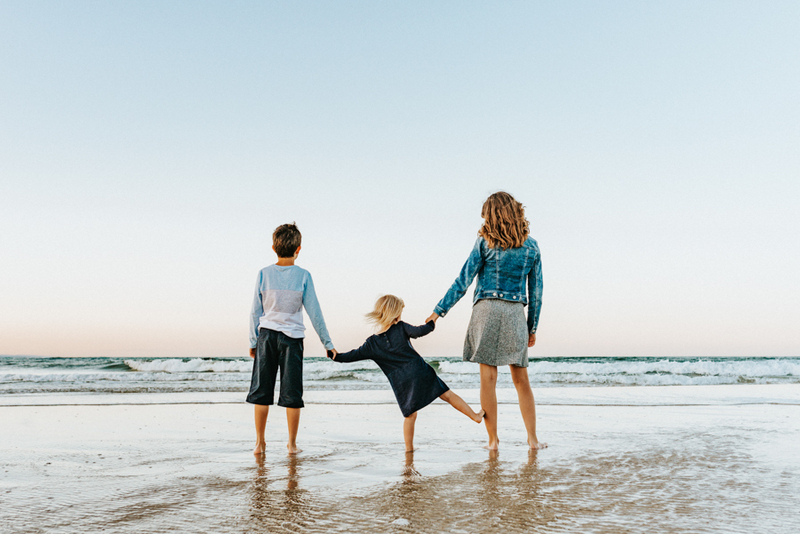 Rebecca didn’t stop shooting once the more formal part of the shoot was over and was able to capture some real authentic moments of us all just loving being at the beach. I must admit I was a tad nervous being in front of the camera, but I needn’t have worried. Rebecca made us all feel comfortable and so it was easy to relax and just be us. Even our Teen who was less than impressed about the prospect of having someone take her photo enjoyed the shoot. As we walked back up the beach to the car she acknowledged that it was a lot more fun than she was expecting. We were able to see a sneak peek of our session via Instagram the night of the shoot and that had me so excited and a little impatient to see the final gallery. But I didn’t have to wait too long and just a week after our shoot we were able to view and download our images online. Owning the digital files and being able to download them was important to me as I had no desire to add printed images to my already heavy luggage and worry about them getting damage on our journey back to Switzerland. Rebecca put together a beautiful set of images that we were able to download straight away. There were so many lovely photos from our session that I relieved Rebecca used her professional eye to put together our purchased image package - made life a whole lot simpler. Here are couple of our favourites …. Now that we are back in Switzerland, the sound of the ocean is just a distant memory. But we can be instantly transported back to our happy place thanks to hiring a professional photographer. So the next time you plan for a holiday, plan for a photographer too. The images captured will be precious forever.